As long as it is not financially destructive to our business we make and prepare as much as possible from scratch. 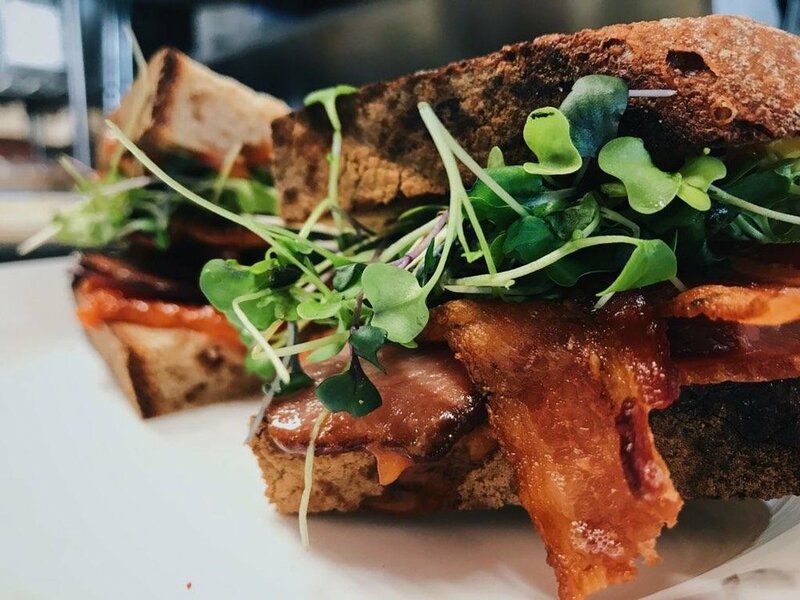 We try to take a more seasonal approach to our menu, working with foods that grow in the northeast region and sourcing from New York farmers as much as possible. We jam, pickle, ferment and preserve the bounty for use out of season. We know when local produce grows and so should you. All items on our menu are prepared to order. We do not have any gas burners, just our ovens. Ovens take time. To ensure that you receive the meal as fresh and honest as possible phone orders are not accepted. We have put together a simple catering menu to help guide you in the direction that may best suit your event. We are a versatile group of cooks, bakers and baristas and can tailor menus outside of these parameters should your needs warrant some tweaking. Simply inquire with our manager Nellie for assistance. 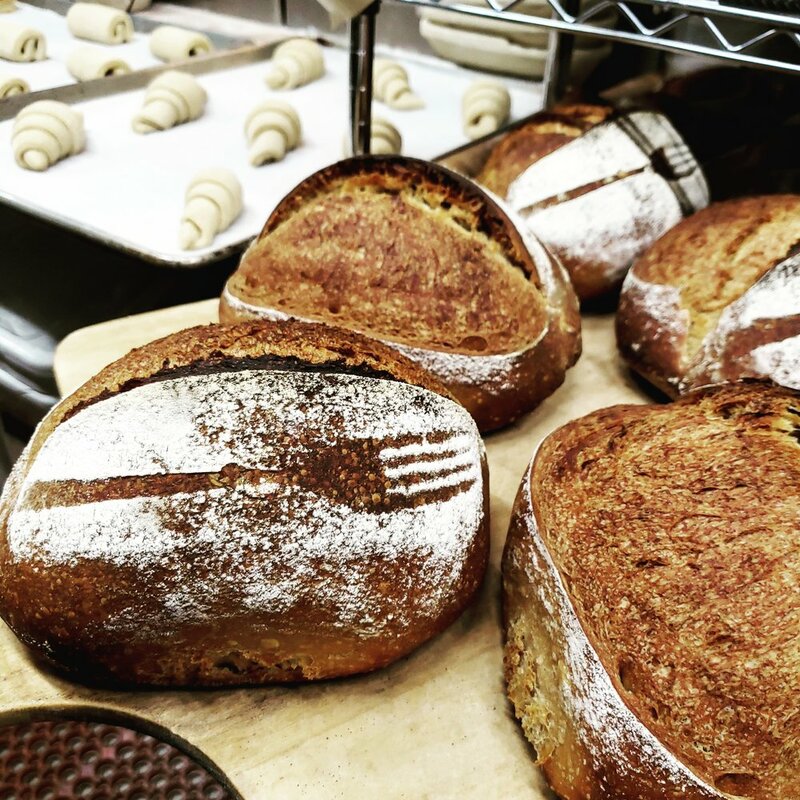 We bake naturally leavened bread using stone-ground flour sourced from the northeast region. We ferment our breads from two to three days for optimal nutrition and flavor. Order ahead available.